Today, Team Note-Taker from Arizona State University, presented to the judges in the first round of the 2011 Imagine Cup. David Hayden, Michael Astrauskas, Shashank Srinivas, and Qian Yan, spoke to a four person panel about the Note-Taker project. The Note-Taker was conceived in 2007 as a way for David Hayden to solve a challenge he was having. He had added a Mathematics major to an existing Computer Science major and was struggling to keep up with the pace of note taking (12 whiteboards in 45 minutes sometimes!) due to having low-vision. He wasn’t going to let this get in the way of pursuing his passion so he developed the Note-Taker. The Note-Taker is a hardware / software combination that allows its users to easily take notes without needing outside assistance. Note-Taker combines a USB connected camera with pan / tilt / zoom functionality, a Microsoft Office OneNote 2010 add-in, and a tablet PC into an all in one solution. One might wonder why not use an existing assistive technology. The problem with existing technologies are that they have what the team calls “board-note-board” delay. This is the delay that occurs when one looks at the board, down to write notes, and then back up to the board again. Note-Taker eliminates this delay because the user stayed focused on their tablet PC and a split screen view shows their notes and the video that the camera is seeing. The team sees their project as a way to improve access to education for low-vision individuals. According to statistics presented by the team fewer than 40% of the 20 million low-vision individuals in the United States participate in the workforce. Team Note-Taker believes that this is due to the lack of access to education. Through Note-Taker, low-vision individuals now have a way to access education and improve their quality of life. Note-Taker successfully made it through the first round of competition, and we will find out this evening at 8PM EST if they move on to the finals. 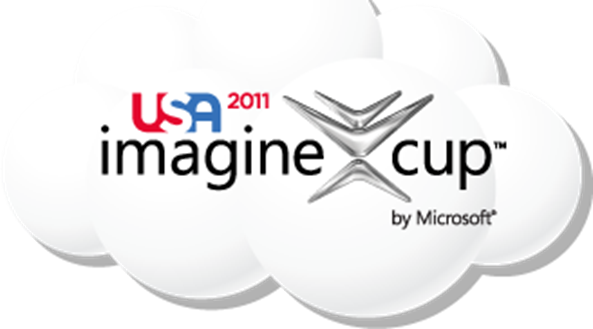 The Worldwide Finals of the 2011 Imagine Cup by Microsoft will be upon us in about three weeks. Over these next few weeks, I’ll be introducing you to some select teams that will be competing July 8th-13th in New York City. Today, I’ll be introducing Team Note-Taker. Team Note-Taker is based out of the Center for Cognitive Ubiquitous Computing (CUbiC) at Arizona State University. 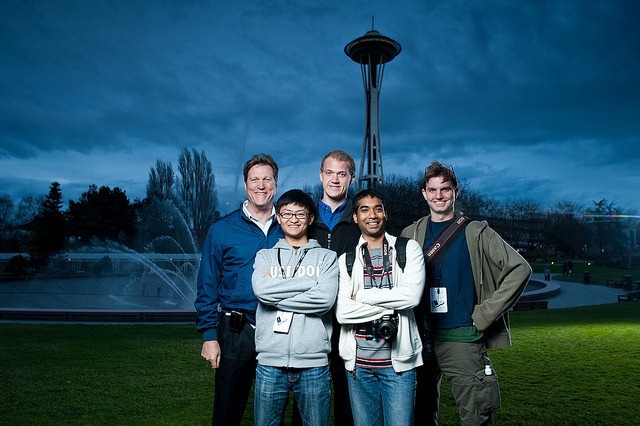 Led by team leader David Hayden and Mentor John Black, along with Shashank Srinivas, Michael Astrauskas, and Qian Yan, Team Note-Taker has created a portable assistive device consisting of a robotic camera, a tablet PC, and Microsoft OneNote 2010. Inspiration for this project comes from David Hayden who is legally blind and decided he was not going to let his blindness get in the way of pursuing a dual degree in both Computer Science and Mathematics. The Note-Taker presents its users with a split-screen view of live video from the camera and a Microsoft OneNote notebook. By using gestures (pinch to zoom, tap to focus, etc.) users can control the camera and take notes at the same time. By using a solution such as the Note-Taker, students who are vision impaired can reduce the time and struggle in keeping up with their sighted peers in classes. The Note-Taker is an innovative approach combining software and hardware in an easy to use way and at an affordable price point. Team Note-Taker took first place in the Software Design category of the US Imagine Cup finals. Will they take it all the way in New York City? Stay tuned right here to find out!